If your kids have gotten you unavoidably addicted to the Harry Potter series, whether it was voluntary or not, you must check out the final installment, Harry Potter and the Deathly Hallows – Part 2. Bringing audiences back to the magical settings that made the first movies so memorable, the final film pretty much serves as an exaggerated two-hour climax – which means that there are plenty of meaty action sequences to hold your attention. Perhaps the only fault of the summer blockbuster is that you can't fully commit to it unless you're an avid fan, and if you haven't seen the latter movies, you'll likely be clueless about what's really going on. 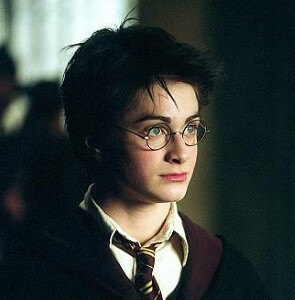 Daniel Radcliffe never manages to disappoint, especially now that he grew a little chest hair and matured from his resemblance to that one kid who always loses his lunch money to the bullies. The final Harry Potter film shifts most of your attention toward Harry and his best pal Hermione, played by Emma Watson. The British beauty is now technically old enough to drink in the states, so dads can stare longingly at her and not feel especially shady. As always, Ralph Fiennes put on an incredible performance as the notorious Lord Voldemort, who has now gained possession of the most powerful tool a wizard could possibly obtain – the Elder Wand. Still, although some of the earlier films shined a little more light on Alan Rickman, the acting legend doesn't get as much screen time as one might hope (solution: rent Die Hard). If the promise of magic and adventure is enough to get you in front of the silver screen, Harry Potter and the Deathly Hallows – Part 2 will likely satisfy your need for action. If you're only in the theatre because your kids dragged you in that direction, sit back and relax knowing that your time won't be wasted. Child friendly? As Harry Potter completes his arduous journey and attempts to stop Lord Voldemort once and for all, the children will likely be pleased with the film's climatic conclusion. Recommended for ages 13 and up.